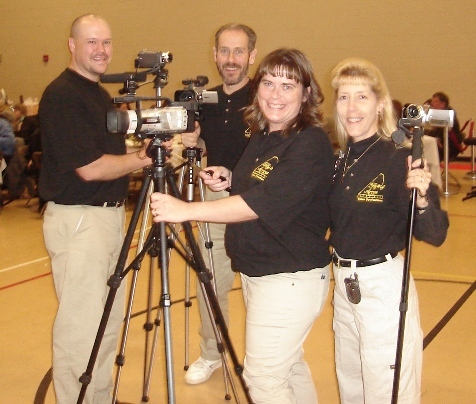 Jay has over twenty-seven years of experience in filming and with more than twenty years of experience in customer service, Jay offers the highest level of professionalism. Jay states, "I'll take the time to listen to what you really want!" Jay is also a retired NREMT-P, Flight Paramedic. Julie holds a Master of Fine Arts degree in Motion Pictures/Television with a focus on editing from the Academy of Art University and a Bachelor's degree in Interactive Media Design from the Art Institute of Pittsburgh She has ten years of experience. Curt is a videographer and specializes in filming hunts and outdoor events. Rachelle is a videographer and specializes in filming live events.